According to a report by The Star, Malaysia is en route to produce its first prototype lithium-ion batteries for electric buses, cars and energy storage by the first quarter of 2015. The project, which will be a collaborative effort between the Malaysia Automotive Institute (MAI), transport logistics firm ARCA Corp, Australia’s AutoCRC and Swinburne University of Technology, aims to develop the most energy-dense battery for the market, according to MAI chief executive officer Madani Sahari. Madani said the first experimental batch of batteries will be employed on an electric bus prototype, developed by ARCA Corp. The first planned deployment of the E-Bus will be in Putrajaya and Langkawi, due to their relatively simple routing and range requirements. A sum of RM200 million is said to be invested by ARCA Corp over a period of four years, with commercialisation of the E-Bus expected to commence in 2016. He also said plans were already in motion to set up a plant to produce the batteries. The only decision left to make is between establishing a new plant or expand on an existing one. Said plant is part of the National Automotive Policy, announced in January 2014, which aims to turn Malaysia into a regional energy-efficient vehicle hub. While hope this won’t be another “false promise” by our Gov. it is the working of an INSTITUTE. joined with some other institutions. for f sake please stop what u are smoking. We already have Lynas to produce materials, why not Lithium Ion battery as finished product? Dude, Nothing to do with Christ! Whatever lah NAP EEV policy this that. I still demand at least 30 years warranty + 30 years free service for a Proton Electric or hybrid car. Only that way it convinced me and the rest of rakyat to trust Proton again. while you at that, ask for free EV car too. Everything want cheaper and free. Although this news are non related with proton. EV Hub. 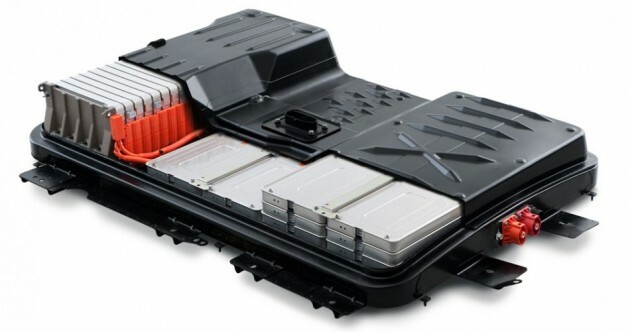 Malaysia Automotive Institute (MAI), transport logistics firm ARCA Corp, Australia’s AutoCRC and Swinburne University of Technology.The vendor for new compact and high density batteries. so thailand with small energy efficient car hubs, malaysia with hybrid and electric car hubs. that is good. different market and segmentation. Buatan Malaysia? I takut…..nanti bomb how? Ya ya..better give thailand sure no explode. Like petroleum is any safer. when people want to do it, you condemn. when people built factory in other country, you condemn our gov.. you people only know to complaint and condemn. damn! … if only I can tumbuk you laju2! what sort of mentality is this? so, are you implying that we better of forever to be users, not inventors? Read between the lines….just another excuse for gov & cronies to gain access to taxpayers’ money. If tesla come to Malaysia, just IF. I wonder how is our government going to charge for road tax. Since it’s EV. Wutta. it doesn’t even been produced!! good move for future market will be using a lot of those. Aiyo! Safe ar? Takut Jugak lor … Saga BLM can suddenly engine stop – Ini can suddenly KABOOOoooOOOoooMM tak ? The government should not take part in business. As for now, every company that related to production of li ion battery in Malaysia had gone bust. Good luck. I would be very concerned if there is a by product of Li Ion battery which is hazardous to our environment if not disposed off properly. Worse still, disposed off quietly in our backyard and causing long term environmental damage. Any experts here on the production of Li Ion batteries and its by-products? Remember the old days when fuel prices were so high that gov has been giving incentives and free money to companies (Cronies) to start bio diesel, water gas (HO) gadgets to reduce oil consumption. Now we are in the 5th year, all fancy stuffs are gone quiet just as quiet as the money went missing. Only a little news about bio diesel but no where near producing reasonable results. The only inevitable outcome is, cronies got richer and rakyat for screwed. Unfortunately Malaysian tends to be too forgiving and forgetful. Cronies always had runaway wins. They should be pushed to deliver. Or at least make whatever findings/results as open source. Please produce lipos for my hobbies too. Previous Post: SPYSHOTS: Is this a Hyundai “i30 N” hot hatch? Next Post: 2016 Mazda MX-5 unveiled – over 100 kg lighter!